This document describes the current stable version of Celery (4.0). For development docs, go here. 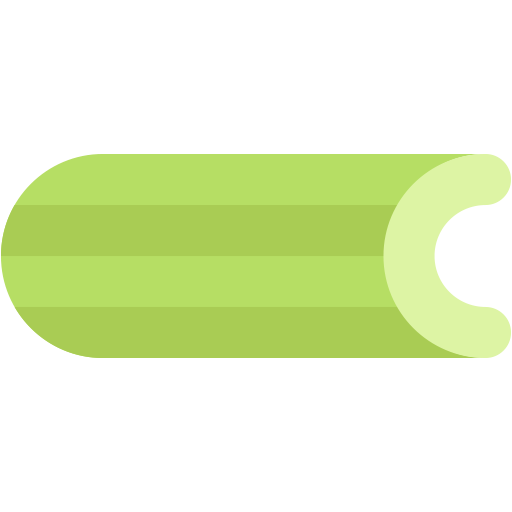 celery beat is a scheduler; It kicks off tasks at regular intervals, that are then executed by available worker nodes in the cluster. By default the entries are taken from the beat_schedule setting, but custom stores can also be used, like storing the entries in a SQL database. You have to ensure only a single scheduler is running for a schedule at a time, otherwise you’d end up with duplicate tasks. Using a centralized approach means the schedule doesn’t have to be synchronized, and the service can operate without using locks. The periodic task schedules uses the UTC time zone by default, but you can change the time zone used using the timezone setting. This setting must be added to your app, either by configuration it directly using (app.conf.timezone = 'Europe/London'), or by adding it to your configuration module if you have set one up using app.config_from_object. See Configuration for more information about configuration options. The default scheduler (storing the schedule in the celerybeat-schedule file) will automatically detect that the time zone has changed, and so will reset the schedule itself, but other schedulers may not be so smart (e.g., the Django database scheduler, see below) and in that case you’ll have to reset the schedule manually. Celery recommends and is compatible with the new USE_TZ setting introduced in Django 1.4. For Django users the time zone specified in the TIME_ZONE setting will be used, or you can specify a custom time zone for Celery alone by using the timezone setting. To call a task periodically you have to add an entry to the beat schedule list. # Calls test('hello') every 10 seconds. # Executes every Monday morning at 7:30 a.m. Setting these up from within the on_after_configure handler means that we’ll not evaluate the app at module level when using test.s(). Example: Run the tasks.add task every 30 seconds. If you’re wondering where these settings should go then please see Configuration. You can either set these options on your app directly or you can keep a separate module for configuration. If you want to use a single item tuple for args , don’t forget that the constructor is a comma, and not a pair of parentheses. Using a timedelta for the schedule means the task will be sent in 30 second intervals (the first task will be sent 30 seconds after celery beat starts, and then every 30 seconds after the last run). A Crontab like schedule also exists, see the section on Crontab schedules. Like with cron, the tasks may overlap if the first task doesn’t complete before the next. If that’s a concern you should use a locking strategy to ensure only one instance can run at a time (see for example Ensuring a task is only executed one at a time). The name of the task to execute. This can be the number of seconds as an integer, a timedelta, or a crontab. You can also define your own custom schedule types, by extending the interface of schedule. Positional arguments (list or tuple). This can be any argument supported by apply_async() – exchange , routing_key , expires , and so on. If relative is true timedelta schedules are scheduled “by the clock.” This means the frequency is rounded to the nearest second, minute, hour or day depending on the period of the timedelta. By default relative is false, the frequency isn’t rounded and will be relative to the time when celery beat was started. The syntax of these Crontab expressions are very flexible. crontab(minute=0, hour=0) Execute daily at midnight. crontab(minute=0, hour='*/3') Execute every three hours: midnight, 3am, 6am, 9am, noon, 3pm, 6pm, 9pm. crontab(minute='*/15') Execute every 15 minutes. crontab(day_of_week='sunday') Execute every minute (!) at Sundays. Execute every ten minutes, but only between 3-4 am, 5-6 pm, and 10-11 pm on Thursdays or Fridays. crontab(minute=0, hour='*/5') Execute hour divisible by 5. This means that it is triggered at 3pm, not 5pm (since 3pm equals the 24-hour clock value of “15”, which is divisible by 5). crontab(minute=0, hour='*/3,8-17') Execute every hour divisible by 3, and every hour during office hours (8am-5pm). crontab(0, 0, day_of_month='2') Execute on the second day of every month. Execute on every even numbered day. Execute on the first and third weeks of the month. Execute on the eleventh of May every year. Execute on the first month of every quarter. See celery.schedules.crontab for more documentation. dawn_astronomical Execute at the moment after which the sky is no longer completely dark. This is when the sun is 18 degrees below the horizon. dawn_nautical Execute when there’s enough sunlight for the horizon and some objects to be distinguishable; formally, when the sun is 12 degrees below the horizon. dawn_civil Execute when there’s enough light for objects to be distinguishable so that outdoor activities can commence; formally, when the Sun is 6 degrees below the horizon. sunrise Execute when the upper edge of the sun appears over the eastern horizon in the morning. solar_noon Execute when the sun is highest above the horizon on that day. sunset Execute when the trailing edge of the sun disappears over the western horizon in the evening. dusk_civil Execute at the end of civil twilight, when objects are still distinguishable and some stars and planets are visible. Formally, when the sun is 6 degrees below the horizon. dusk_nautical Execute when the sun is 12 degrees below the horizon. Objects are no longer distinguishable, and the horizon is no longer visible to the naked eye. dusk_astronomical Execute at the moment after which the sky becomes completely dark; formally, when the sun is 18 degrees below the horizon. All solar events are calculated using UTC, and are therefore unaffected by your timezone setting. In polar regions, the sun may not rise or set every day. The scheduler is able to handle these cases (i.e., a sunrise event won’t run on a day when the sun doesn’t rise). The one exception is solar_noon, which is formally defined as the moment the sun transits the celestial meridian, and will occur every day even if the sun is below the horizon. Twilight is defined as the period between dawn and sunrise; and between sunset and dusk. You can schedule an event according to “twilight” depending on your definition of twilight (civil, nautical, or astronomical), and whether you want the event to take place at the beginning or end of twilight, using the appropriate event from the list above. See celery.schedules.solar for more documentation. To daemonize beat see Daemonization. Custom scheduler classes can be specified on the command-line (the -S argument). The default scheduler is the celery.beat.PersistentScheduler, that simply keeps track of the last run times in a local shelve database file. There’s also the django-celery-beat extension that stores the schedule in the Django database, and presents a convenient admin interface to manage periodic tasks at runtime. Note that there is no dash in the module name, only underscores. Visit the Django-Admin interface to set up some periodic tasks. © Copyright 2009-2016, Ask Solem & contributors.